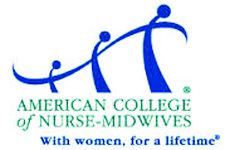 The Midwives Coalition of Greater San Diego is a partnership between the San Diego chapter of the California Association of Midwives and the San Diego and Imperial Counties Chapter of the California Nurse-Midwives Association. The intention of Midwives Coalition of Greater San Diego is to educate women and their families about midwifery care and to provide information for those interested in seeking the care of a midwife in the San Diego area. The coalition does not endorse any one particular group of midwives but was created to raise awareness of midwifery as a valuable mode of care throughout a woman's life cycle. Our common link is that we are all licensed by the State of California to provide midwifery care to the women in our community. Our common belief is in the power of women AND in the empowerment of women that occurs though woman centered health care. Our common cause is the promotion of safe, satisfying and supportive care to our patients using the midwifery model of care.